With rapid socio-economic developments and innovative technology business in India has transformed itself across all the industries. Whether a small independent store owner or a large entrepreneur all are going through a drastic change. Most of the industries are flourishing in present times, be it health & fitness, FMCG, retail, telecommunication, beauty, food, biotechnology or F&B. The advent of M-commerce, smart phone users are using mobile apps for buying, purchasing or selling. It has taken a big leap over E-commerce format. Quick shipping, easy Wi-Fi connections and the numerous mobile apps available in the web world make it easy to burgeon. Using online tools and technology, businesses are expanding their reach even in the remote areas with the help of franchises and business associates. This is the easiest way to create a dynamic eco-system for the entrepreneurs, clients, stakeholders, franchises, associates and others, directly or indirectly involved with a business. Businesses in full swing are incorporating mobile into all areas of their digital promotion. For mobile website users they have come up with an entirely approachable website, mobile ads, and content.Brands, now understand the importance of social media and advertising. It will sharply increase the social media ad spend. 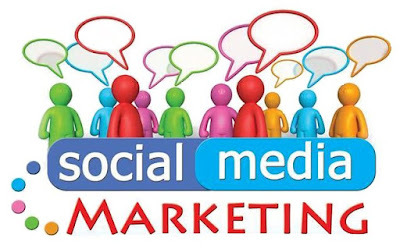 Businesses must generate social media marketing strategies as per audience’s mobile lifestyle and putting additional importance on video and visual content that’s straightforwardly consumed via mobile. SEO used to be a race between Google and search marketers. Now, they will be coming up with some new techniques to position them on a higher rank. Perpetually, content marketing has the market greater than ever in India.Content Marketing has been described by several as the “amalgamation of SEO and SMO” which is somewhat accurate. SEO and content marketingwill prolong as two separate but entwined disciplines that rely on each other for success. Content is the chief influencer of social media marketing. Businesses that don’t invest in a rock-hard content strategy will discover that their SEO campaigns are ineffective, at best, and damaging to their search visibility, at worst. As marketers go on with the profit of their content strategy, capital beforehand was kept for search engines; pay per click, SEO and social media will also be re-allocated to content marketing efforts. The major difficulty for them would be standing out amidst attention seeking content, case studies, video content, research-intensive content, and others give businesses an advantage over their competitors. Trends could keep varying with transient time, so, plunge into the change and move with it. Public Relations Professionals spend immense time talking about how they should communicate externally. They generally talk about engaging outside consultants, disseminating news releases and pitching stories to the media or industry, and indulge too much so that they often overlook their most influential and most valuable asset constituents inside the company- their internal audience. 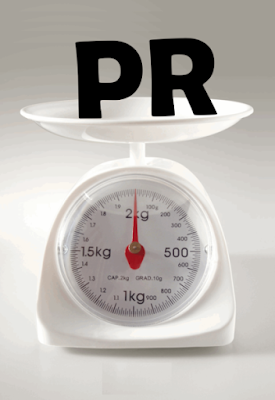 Communication with internal audience, including employees, board members, directors or association members is an imperative consideration for a PR agency to become more successful. Every employee wants to be informed about the product developments, team success celebrations, and other changes in the organization. By paying equal attention to your staff members and valuing their opinions, you will actually motivate them, make them feel valued and become a trustworthy resource that will lead to more dedicated and productive members of staff. With the help of the following methods of communicating with internal audience, you can develop a sense of pride and instil a sense of belonging in employees. The best method to make your employees feel valued is simply by talking with them. Consistent and clear communication with the staff members helps set a company apart from its competitors as it is useful in creating a cohesive work environment. You can give them a better understanding of the organization’s goals and operations. Communicating positive developments with employees boost their morale and encourage them to work harder, and contribute directly to an organization’s success. Moreover, you can empower employees to spread good news about the brand to their social networks. But make sure that the employees should not share the trade secrets outside the organization. For this, you can make them sign the non disclosure agreement. · Printed or E-Newsletters: Sending news update via e-mail or printed newsletter regularly keeps the members of the staff informed about what is happening in the wider organization and allows them to involve in the process. If possible, provide employees printed newsletter as many of them would like to hold and take it home. To encourage strong relationships between company managers and employees, it is vital to listen to them attentively along with communicate. Listening is the key to great communication. For a successful PR campaign, you should provide a forum that allows employees to ask candid questions- and receive candid answers, express their issues then have them addressed honestly, share innovative and creative ideas- then see them implemented. It is said that employees who have a voice serve as the most enthusiastic brand ambassadors, both externally and internally. An effective and honest internal communication allows employees to trust on the organization and encourage them to work more dedicatedly. Every committed employee prefers to work for companies that are transparent in their practices and goals. By communicating on a daily basis, company workers will be able to put major organizational changes and developments, declarations, events and news in the right context.